To make life a little easier for its developers, Google has released Android Studio which is a new development environment. After two years of development, this release improves upon Eclipse and offers things like intelligent code editing, code templates, GitHub integration, multi screen environments, many virtual devices sizes, and more. The creation of a "one size fits all" tool for Android developers is very important considering the wide variety of devices and screen sizes (and screen ratios) on the market. Apple's Xcode environment has long been lauded as a superior (by some), but Android Studio looks to have closed that gap significantly. Chome apps will soon be available on iOS and Android. Apparently Google offers "developer workflows" to package the Chrome apps. You can run your Chrome app on a device or emulator using the command-line or an IDE, and you can also use the Chrome Apps Developer Tool to run your app on an Android device without the need to install the mobile platform’s SDK or an IDE. The news is not completely a surprise since users can now launch Chrome apps from the desktop of their Windows Machine or Mac. It's also a typical move from the search giant. Google often releases redundant or competing products (think Wave, G+, G Talk, Hangouts) or "test" concepts in the open. Though, Chrome is clearly more than a test at this point. Chrome apps allow the user to create, store, and access information in the cloud very easily and on any platform. The only question is whether having both Chrome and Android will create confusion for the user and whether or not they will begin to compete with one another. Some apps are available on Android and Chrome. Is there a use case for having both? In some ways Chrome seems like a trojan horse and is specifically targeted at iOS. Another point of consideration is the potential security risks. If Chrome apps are given greater access to the computer hardware (thereby emulating native apps) then this could be yet another point of exploitation for malware. Another possibility is that Google plans to continue to develop Chrome into a full fledged OS and having it available on a variety of platforms will familiarize people with the concept and brand, therefore making it easier to convince customers to switch from OSX or Windows to Chrome OS. Chrome is certainly not something to underestimate, and its evolution continues to surprise even its most enthusiastic patriots. Is Tizen Android's next open source competitor? Android is a strange beast. While it's a Google pet project, its success is more of a result of its hardware partners - most notably Samsung. Statistics on Android OEMs show that Samsung is overwhelmingly dominant, displacing former giant HTC. But, Samsung has been in a bit of a competition with Google as of late. Samsung clearly does not enjoy being tied to Google's services, and it might be looking to move away from the search giant. Samsung, Intel, Huawei, and Vodafone are putting money behind another mobile OS. Tizen is an open source platform based on (you guessed it) Linux. Allegedly, it's very flexible and supports HTML 5 apps in addition to other cross platform technologies. In fact, its support for HTML 5 arguably makes it more flexible than Android. However, Samsung is the only manufacturer of a Tizen device - the NX300 - a mirrorless camera. The question remains, will Tizen take off as a serious competitor to Android? As Nick Sarafolean notes in an Android and Me article, Samsung phones have become almost as synonymous as Apple's iPhone. One can see them everywhere. Right now, Galaxy phones run Android, but they might not have to. But an Android world without Samsung is entirely plausible. With Samsung being one of the biggest backers of Tizen, they could have plans to leave Android for Tizen, their own operating system that could also be used by others. It’s practically a formula for taking off in the mobile world. With Samsung having even more power over the software of their devices, they could push out updates quickly and easily tie in their own services to Tizen. 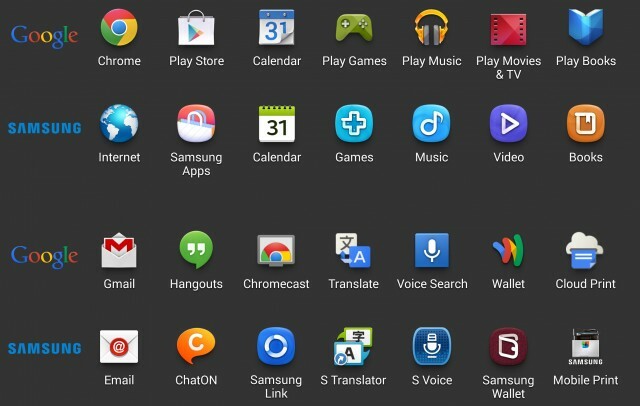 Samsung already has the web of services to help start their own operating system. They even have their own app store, although it’s rather barren. Samsung's Tizen camera, the NX300: image courtesy of Digital Trends. Sarafolean also points out that Samsung could split the difference and continue to make Android phones while also supporting Tizen. This could work out if Samsung slowly shifts itself to Tizen. If Samsung does move to Tizen it will be a big blow to Android, for many consumers don't even associate Samsung with Android and will simply move to the new platform unwillingly. Such a scenario could create considerably more competition in the mobile space. The obvious downside to Tizen is the limited ecosystem. Google has built an platform with Google Play that many tech pundits argue rivals, or even surpasses, Apple's rich ecosystem. Obviously Tizen, like Windows Phone, would have an uphill battle on its hands. In addition to HTML 5 support, it would have to offer a powerful value proposition in order to convince developers to port their apps to yet another platform. The Nexus 5: image courtesy of Google. According to Android Community Android's enterprise market share could double by 2018. In recent history, Apple has been making the most headway in enterprise, surpassing Blackberry in many respects and encroaching on Microsoft. But, for many Android is the preferred platform. ABI research. The firm says that current sales of Android devices as they relate to enterprise solutions is roughly $54 billion. That’s expected to rise to $92 billion by 2018. ABI measures growth by looking at a variety of handset manufacturers including HTC, LG, Motorola, Samsung, ZTE, and Huawei. While security has been a persistent concern on Android, that isn't so much an issue anymore, and imbedded features such as Google Drive (what used to be Google Docs) are a real selling point. Android statues at the Google campus. News stories about Android's dominance in mobile never ends. In a Wired article, Marcus Wohlsen speculates that Android might be the MS DOS of our generation. It's a bold statement to make, but he has some evidence to support his claim. Android has now surpassed 80 percent market share world-wide. In contrast, iOS sits at around 13 percent. Of course Wohlsen is talking about Microsoft and DOS, and later Windows. Back then, Apple, Commodore, Atari, and IBM were all players in the computer industry. Yet, Microsoft - a software company - won the race, by selling its operating system to everyone. Google is a services-driven ad business that makes more money as more people use its services — and use them more often. By giving away an open source operating system that, among other things, helps hardware makers set lower prices, Google ensures maximum exposure to the maximum number of mobile users. 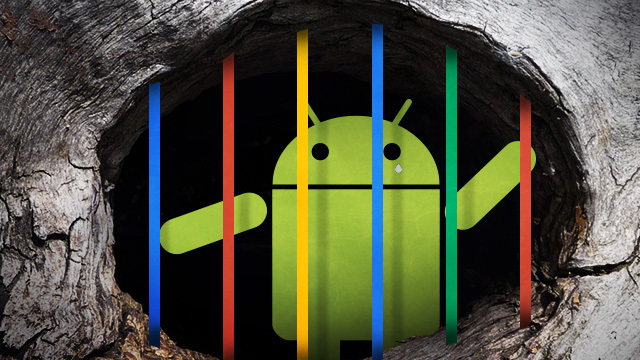 Android gets users locked into Google, which lets Google show them more ads. In short, Google wins. It's hard for Apple, which makes the vast majority of its money from hardware to compete at least in terms of market share. "Meticulously crafting" its hardware is part of Apple's image. Their design and service get people to lineup around the block for their products. Now, most tech journalists, by touting Android's market share gains, reveal their inner Android fanboy. Wohlsen doesn't do this. Instead, he provides a very sobering analysis. He argues that Apple wins by continuing to keep its system closed. Opening up their platform and "compromising its design principles... would strip Apple of its core value proposition." He says Apple should keep being Apple. If anything will hurt Apple, it will be price. Mass market pricing has been a winning strategy, and it's something that Microsoft can now accomplish in mobile now that it owns Nokia. He argued that if Google did not act, we faced a Draconian future, a future where one man, one company, one device, one carrier would be our only choice. In an ArsTechnica article, by Ron Amadeo outlines Android's history, focusing on how Google is slowly locking down the platform. Originally designed as an open source project to combat, what was perceived to be, the inevitable dominance of the iPhone (and Apple) in the mobile space, Android no longer resembles its previous self. Because Android is technically an open source project (though many disagree) it doesn't necessarily mean the platform's huge market-share accurately represents a clear "win" for Google. As we've seen with the struggles of Windows Phone and Blackberry 10, app selection is everything in the mobile market, and Android's massive install base means it has a ton of apps. If a company forks Android, the OS will already be compatible with millions of apps; a company just needs to build its own app store and get everything uploaded. In theory, you'd have a non-Google OS with a ton of apps, virtually overnight. If a company other than Google can come up with a way to make Android better than it is now, it would be able to build a serious competitor and possibly threaten Google's smartphone dominance. This is the biggest danger to Google's current position: a successful, alternative Android distribution. While Google's apps are present on the majority of high end Android phones - including Samsung and HTC - the biggest challenger by far has been Amazon. They have deliberately taken the AOSP and opted out of Google's Handset Alliance, taking Android (re-branding it Fire OS) in their own direction. But Amadeo argues that Google has been slowly closing down Android with each iteration. There have always been closed source Google apps. Originally, the group consisted mostly of clients for Google's online services, like Gmail, Maps, Talk, and YouTube. When Android had no market share, Google was comfortable keeping just these apps and building the rest of Android as an open source project. Since Android has become a mobile powerhouse though, Google has decided it needs more control over the public source code. For some of these apps, there might still be an AOSP equivalent, but as soon as the proprietary version was launched, all work on the AOSP version was stopped. Less open source code means more work for Google's competitors. While you can't kill an open source app, you can turn it into abandonware by moving all continuing development to a closed source model. Just about any time Google rebrands an app or releases a new piece of Android onto the Play Store, it's a sign that the source has been closed and the AOSP version is dead. He uses Google Voice Search as an example. Android AOSP's Google search hasn't changed since the days of Froyo (Android 2.2), and it can only conduct web searches. In contrast, Google's latest version of Android (4.3 and soon to be 4.4) has Google Now - an amazing personal digital assistant with voice recognition, a card interface, and very accurate and relevant predictions and suggestions. 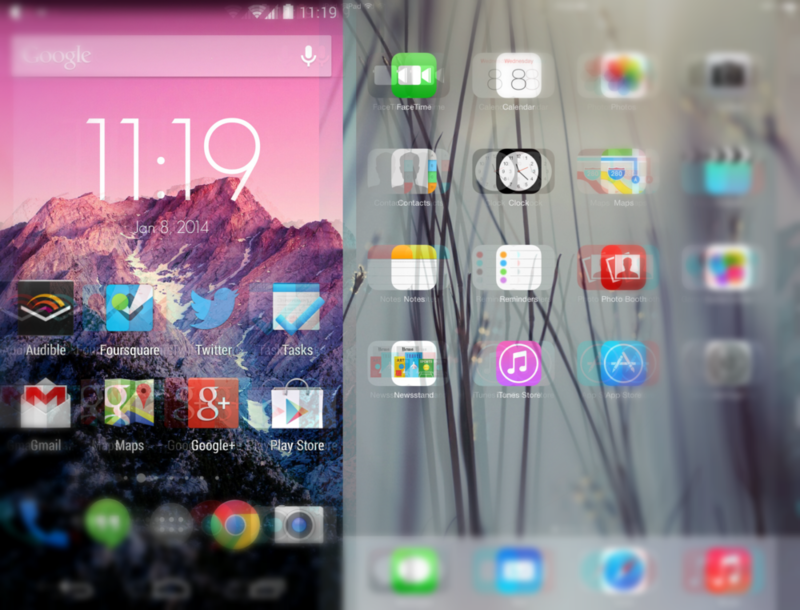 Android AOPS (left) vs Google's Android 4.3 (right): image courtesy of ArsTechnica. In fact, Amadeo mentions a whole list open source Android apps that Google has slowly replaced including: Android Calendar with Google Calendar, AOSP Keyboard with Google Keyboard, AOSP Camera with Google Camera, and AOSP messaging with Hangouts. The latter will no doubt be the only Android messaging app with the release of 4.4 KitKat - unifying text and IM clients. Google's also been locking in third party manufactures, making them dependant on the Google apps mentioned above. Amadeo even says that Google is heavily restricting its APIs, by breaking apps that run on the Kindle or a non-Google version of AOSP. This is quite important since Google has APIs for Maps, Cloud Messaging, Games, and Location. Though it's unlikely that third parties like Samsung will become so frustrated that they move to another platform entirely (such as Tizen), there is still a strong possibility that Google will continue to tighten its control over the platform, and push their own hardware and services at the expense of their partners. Read the full article in the source below. "Designed for Tablets" section of the Google Play Store. Next month, the Google Play Store will receive some notable changes. Google will start to highlight apps that are built for certain devices. Most notably, Google is pushing the "Designed for Tablets" section. A key weakness of Android (according to some technology experts) is Google's lack of tablet apps. Despite their superior scaling methods, it has a ways to go. There have been significantly more tablet apps in recent months, as more and more developers make this a priority. 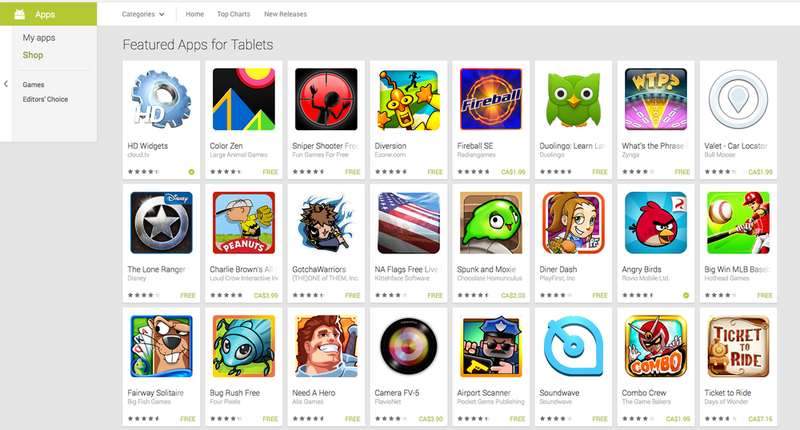 Tablet apps are also highlighted on the Play Store web interface. Developers who want their apps to appear in the tablet section will have to meet a few requirements. There is a tablet optimized checklist they can consult, in addition to a list of optimization tips. Apps that fail to meet Google's standards will be relegated to the "Designed for Phones" section. Placing higher standards on the Play Store might be a sign that Google is taking on a curator role, and is attempting to streamline and integrate its various services. Having distinct tablet and phone sections for apps is a direct cue from Apple's App Store - a highly curated ecosystem. And this is completely understandable. Google's Nexus tablets are hugely popular, and it's hard to deny they are at least partially responsible for driving more apps to be tablet optimized. Google is in the hardware business now, so has to be sure there are apps that take advantage of all its devices. Yesterday, Google lost one of its top Android executives to a relatively unknown Chinese cellphone manufacturer. While the circumstances surrounding Hugo Barra’s departure are still murky and potentially dramatic, there’s no question about where he’s headed:he’s going to Xiaomi as vice president of Xiaomi global, which, according to The New York Times, some in China have dubbed the "Apple of the East." Very few people have heard of Xiaomi outside China. It's often compared to Apple. However, it makes very thin margins on its phones, and instead is opting to make money on services - a very Google strategy. Xiaomi was actually started only three years ago by co-founder Bin Lin, who was previously a Google employee. It shouldn't surprise you then that Xiaomi just stole Hugo Barra, a product development guru partially responsible for bringing Google's more successful Nexus branded devices (such as the hugely popular Nexus 7 and Nexus 10 tablets, as well as the Nexus 4 phone) to the market. It's a bit of a blow for Google because he's leaving just as the company needs him most. Increasingly, Android users want a more "Apple-like" experience from Google - having devices that get regular upgrades and have minimal "crap-ware" or carrier apps installed. Perhaps Xiaomi is the perfect Google-Apple hybrid company. Though their phones use Android, their custom user interface looks remarkably similar to iOS. This story is exciting for a different reason. China is beginning to birth companies that make very competitive products for the Chinese and Western markets. How do you do that? Well, the easiest way is to employ people from the west who have experience marketing such products to customers. If Barra is going to bring Xiaomi out of the Far East, break in to global markets, and make it a Fortune 500 company, piracy will likely be the least of his concerns. While Xiaomi has had great success in China selling unsubsidized phones directly to consumers via its website, western markets are still largely driven by in-store sales and on-contract, subsidized devices. It's pretty exciting news. The North American market is saturated, so it will be interesting to see if Xiaomi can carve out a niche for itself. There are also few details as to why Barra left Google. Some rumors have spread that he wasn't "happy" there. Regardless of the reason, everyone in tech journalism wants to see if this results in Xiaomi phones being introduced in the West. There has been a lot of talk, over the past year especially, about how Apple is being obliterated by the imminent Android takeover. Generally, these points are backed by the various global market share statistics which show Android approaching almost 80 percent. These points are valid, insofar that Apple has not kept to the same release cycle of Android. But, it is important to look at the bigger picture. Nobody should be declaring a "loser" at this point, since both platforms are very successful. There is a good chance Apple will regain some of its lost market share, according to an article in Read Write Web, by Matt Asay. Despite Android's success, it's unlikely that it will "displace" the iPhone in the near future. Asay is careful to note market share doesn't equal profit share (as has been mentioned here before). Apple still maintains a very solid 33% percent profit margin, compared to its closest rival Samsung at 19%. To date, Apple still has approximately $150 billion in cash assets. It also appears the "lock in" factor is much stronger among iPhone users. Only 1 percent of the 300 million plus wireless customers in the US switch to a different carrier. Furthermore, according to a Retrevo Analytics study, 81 percent iPhone owners plan to stay with Apple; contrast this with Android, where only 63 percent of users planned to stay with the platform, with 12% percent planning to switch to the iPhone. Asay notes that despite all the great Android and Windows phones coming to the market, we're all still eager to wait for the next iPhone. Android tends to appeal more to first-time smartphone users, often for price reasons. Based on these statistics, there's a possibility that Apple is far less vulnerable to Android market share than previously thought. In fact, in the long run, the iPhone might very well see a resurgence of market share. Jelly Bean hits 40% of Android market share. Yay! Jelly Bean reaches 40% of Android market share! Great news for Google. 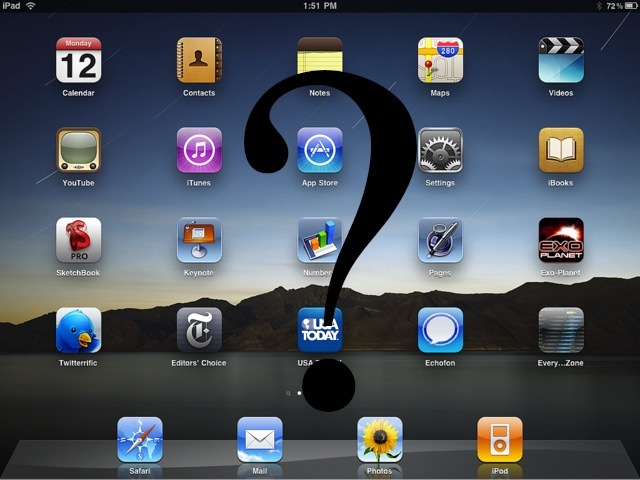 What's next for the iPad? Ingrid Lunden of Tech Crunch writes that Flurry analytics has now reported that China now holds a quarter of the world's connected devices. China now accounts for 24% of all of the connected devices in use worldwide, with 261,333,271 smartphones and tablets among them. Flurry released the data as part of a new report on smartphone usage in China, released today to coincide with a new deal with Renren Games, the online gaming distribution platform of the Chinese social network of the same name. Perhaps most interesting is that gaming appears to have considerable app activity in China. According to Lunden, 56 percent of Android users game, while 47 percent of iOS users game. Furthermore, when looking at entertainment, Android held 20 percent and iOS held 30 percent. Though smartphone and tablet gaming has been a popular area of discussion in the US, it looks like Chinese consumers seem to be even more interested. Figures from April 2013 found that consumers here only spent about 32% of app time in gaming apps, with 18% on Facebook. That still made gaming the most popular category, but far less so. Telling that social networking is only grabbing a couple of percentage points on time on either platform, too small to even get a breakout number in Flurry’s graphic. Right now it seems to be a two horse race in China between Apple and Samsung. Samsung is the largest Android OEM (based on installs), but there are considerably more iPhones in the wild despite the disparity in market share - 65 percent for Android and 35 percent for iOS. On a final note, Flurry pointed out the significant growth in the Chinese tablet market. 21 percent of iOS devices were iPads, while Android only accounted for 4 percent. From the headline it sounds like Jelly Beans are now more popular than Gingerbread, but I assure you there is a mobile story here. According to the Android Developer's Dashboards section, 34.1% of the Android devices that access the Google Play Store are running Jelly Bean (versions 4.1 and 4.2). 4.2 Jelly Bean: CC Image courtesy of Erik's Nexus 7! Obviously this is a huge step forward for the Android platform, since it has often been criticized (both by consumers and by its competitors) for its severe operating system fragmentation. It's important to note how Google measures these numbers, however. This counts devices that access the Google Play store only. There are millions of phones that make use of the Android OS that are not part of the Open Handset Alliance, and therefore do not have access to the Play Store. Many of those phones are likely running much older versions of Android. Nevertheless, Google has done an excellent job of closing the fragmentation gap over the past twelve months, and hopefully they will continue to encourage carriers and service providers to push out updates. While the latest reports show that Android continues to make significant headway in terms of global marketshare, this does not translate into ad revenue. According to Kevin Bostic, writing in Apple Insider, iOS ad share continues to grow, and Android has actually lost ground. Between May 2012-2013, iOS ad share increased from 59 percent to 64 percent, while Android dropped from 41 percent to 36 percent over the same period. This is good news for Apple, since higher ad monetization means that developers will be more likely write apps for the iOS platform first. iOS and Android armies: CC Image courtesy of Nerds on Call on Flickr. The mobile sphere is never boring thanks to the fierce competition. There are some important updates in the mobile OS market today. Greg Sterling, writing in Marketing Land, reports the latest news from comScore regarding the US mobile market. Apparently, 59 percent of American cellphone subscribers own a smartphone - with Pew and Nielsen reporting numbers as high as 61 percent. Apple is still the top phone maker, with Samsung coming in second. Android claimed the top spot for a mobile OS, with Apple in second place. Both Apple and Android saw gains during the quarter, but HTC, Motorola, and LG all lost market share. Platform marketshare does not reflect mobile browser usage, however. Below is a breakdown of usage among all the major platforms in the US for the same quarter. Apple Insider reported that the iPhone 5 accounted for a whopping 75% of all 4G (aka LTE) web traffic in the US and Canada for "newer" smartphones. Globally, Android seems to be dominating, which will not help their anti-trust search case in Europe, says Ingrid Lunden writing in Tech Crunch. Although smartphone penetration is slowing down in developed markets like Europe, Android’s does not appear to be: that 70.4% of sales is nearly 10 percentage points higher than it was a year ago (61.3% in the three months that ended May 31, 2012). These figures come from the consultancy firm Kantar. However, the figures do not differentiate between Android variants - namely forked devices that do not have access to the Google play store and ecosystem. 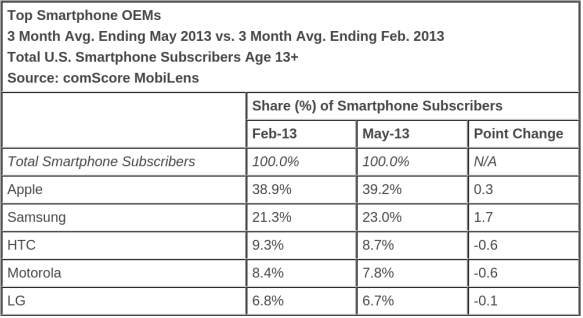 More information on US and global mobile market share in the sources below. For developers, the message is clear: Build your apps for iOS, and with one API you can hit the majority of the operating system’s addressable market. Develop for Android, and there are at least three different APIs you’ll need to deal with to reach the majority of its users. To Apple, this is a significant competitive advantage, one that the company is clearly interested in raising awareness around. 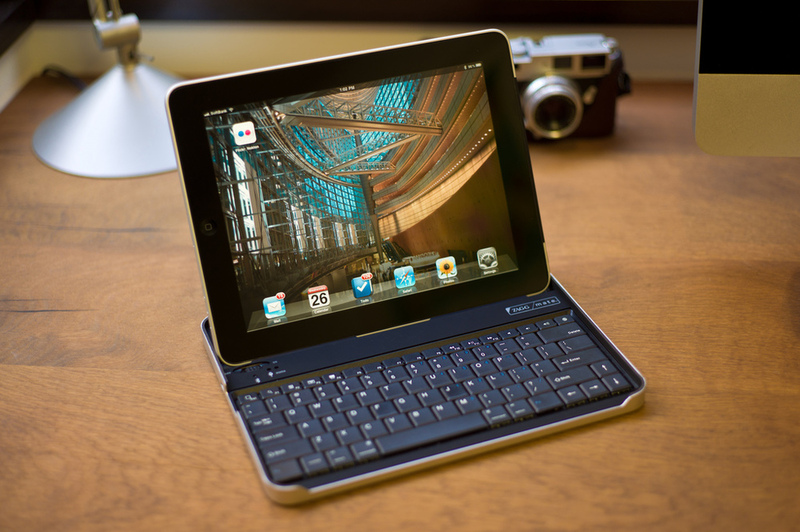 iPad with keyboard: CC Image courtesy of Nokton on Flickr. Android Jelly Bean: CC Image courtesy of Mauricio Lima on Flickr. From the viewpoint of someone who works in the field of information science, the end user is key. Too many times have I tested, or worked with, software (consumer or enterprise) that fails to create a fluid user experience. Yet, there is a balance. Software that is dumbed down to the point where utility is inhibited is also unacceptable. The juncture between usability and capability is the sweet spot that all modern operating systems should strive for, regardless of the device or platform. The limitations of the current crop of touch-based operating systems reflects the infancy of the mobile market. iOS, Android, and Windows Phone do not represent a fully functional OS. They were designed to ease people into a new era. The era of touch. The introduction of the Graphic-user-interface, or GUI (pronounced “gooey”) as us geeks like to call it, was arguably the game-changing invention that brought the personal computer into the mainstream. The whole notion of the desktop and the folder-icon file system was first commercialized by Apple’s Macintosh operating system. Just like the current generation of Macs, Apple’s strategy has been to create operating systems that were powerful, yet consistent and easy to use. Conversely, Microsoft set its sights on the enterprise market, and opted for more drastic changes to the user interface (UI) with each iteration. Today, both are very capable productivity platforms. 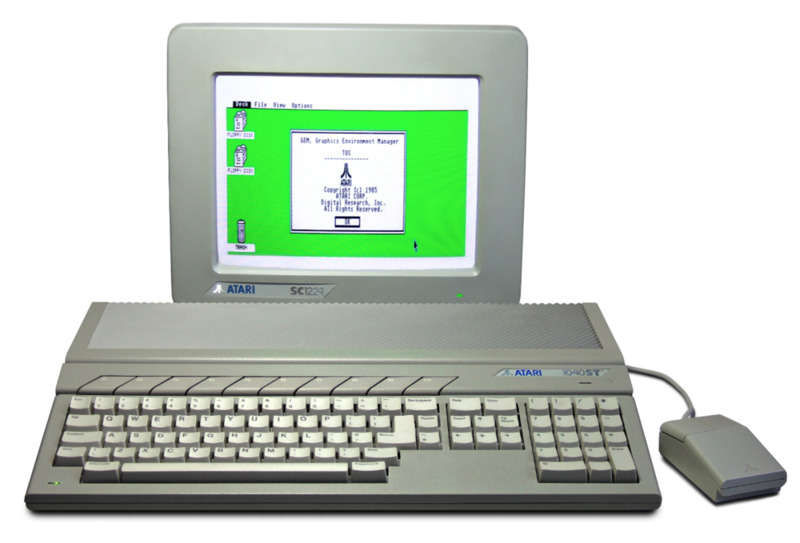 My first introduction to the GUI was the family Atari 1400ST, which featured a state-of-the-art OS made by Digital Research. Amazingly, I still have that computer, and it chugs along to this very day. I remember fondly the white icons and lime green background. It had no internet connection (though there was modem for it that we never used). While it was used for productivity (mostly basic word processing) and games, it was above all a learning tool. It prepared me for what was to come. When I got to school we had Macs and Windows 3.1. Not long after, my family made the jump to Windows 98, Windows XP, and subsequently Windows 7. Currently, I use Mac OS 10.8. Each iteration was slightly more streamlined, but added more functionality. Today, I would consider myself a pretty expert computer user, but only because I honed my skills with each generation. Tomorrow, Apple will hold its World Wide Developer’s Conference (WWDC), where they are expected to announce (among other things) iOS 7 and OS 10.9. Don’t let the number 7 fool you, however. 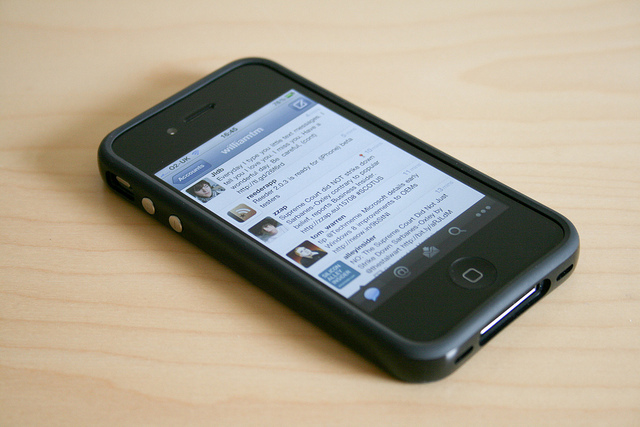 iOS hasn’t changed much since its introduction in 2007 - unlike Google’s Android, which has seen considerable advancement. Unfortunately, as much as I like my phones and tablets, they are not anywhere close to replacing my Macbook or desktop computer. The more we use mobile devices, the more we expect from them. Technologists are bored with the current selection and we pine the next big thing. The next generation of mobile phones and tablets have to be considerably more capable. The training wheels have to come off. Both my generation and the younger generation (the latter which has never experienced a world without the smartphone) are prepared for something more advanced. Our Kung-Fu is strong, and we’re ready for the next challenge. Microsoft has tried to move users in the opposite direction, which I feel is a mistake. Handicapping the desktop and gearing it toward touch is the wrong approach. What companies like Microsoft, Google, and Apple should be doing is adding some of the traditional desktop functionality (such as multitasking, windowing, and file systems) into the their respective mobile OS’.